Looking for a black blender? We've got you covered. Here are 8 black colored blenders that will look really sleek on your kitchen counter. The vacuum technology used to make this blender results in perfectly blended food each and every time and a minimum amount of foam. This is because there is much less oxygen introduced into the food, which results in higher quality drinks that will last for a long time without losing any of their original properties. Not only does this blender create amazing beverages, but it also has more than 15 different functions, which means that it can easily take the place of several different appliances in your kitchen, saving you space and money. It’s also very durable, thanks to the custom bearings that will minimize the amount of heat generated when the blender is in use and ensure that it will last for a long time without wearing out or slowing down. Not only is this blender incredibly attractive, but it also has a number of functions that you are sure to love. Thanks to the variable speed control, two preprogrammed settings, and the pulse feature, you will enjoy complete control over the food that you are going to prep, blend, grind, pulse, or puree. 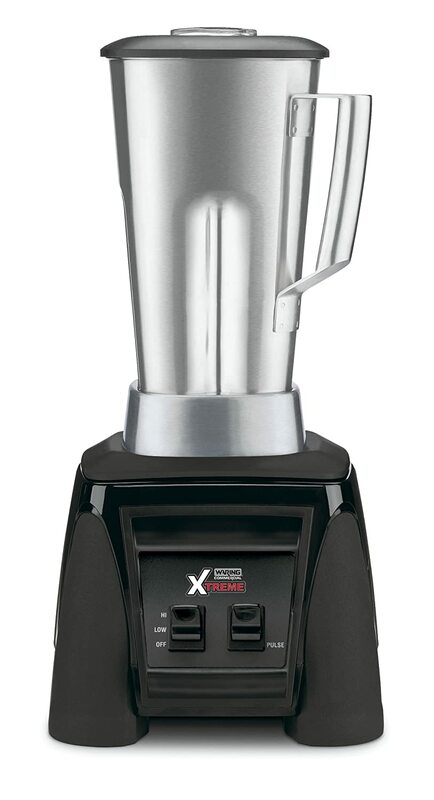 Whether you want to stand by and monitor the blender to make sure that you get the results you want or use a pre-programmed setting so that you can walk away, this blender from Vitamix has the power that you need to get the great results that you want without a lot of effort. 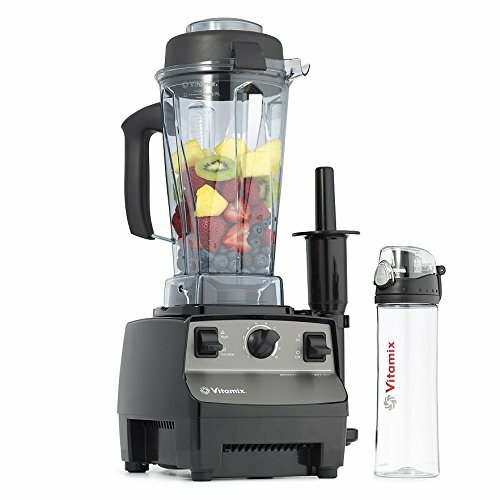 Vitamix has always been known for using some of the highest quality and most durable motors available on their blenders, which means that all of their blenders can not only power through tough and hard produce without any problems, but will also last for a long time. The large container on this blender has a secure lid that fits snugly so that nothing flies out of the blender when it is turned on. Thanks to the tamper that has been designed to fit perfectly inside the blender without reaching the blades, you don’t have to worry about whether or not everything will be evenly blended. Additionally, this blender comes with a smaller beverage bottle so that you can take your smoothie with you on the go. 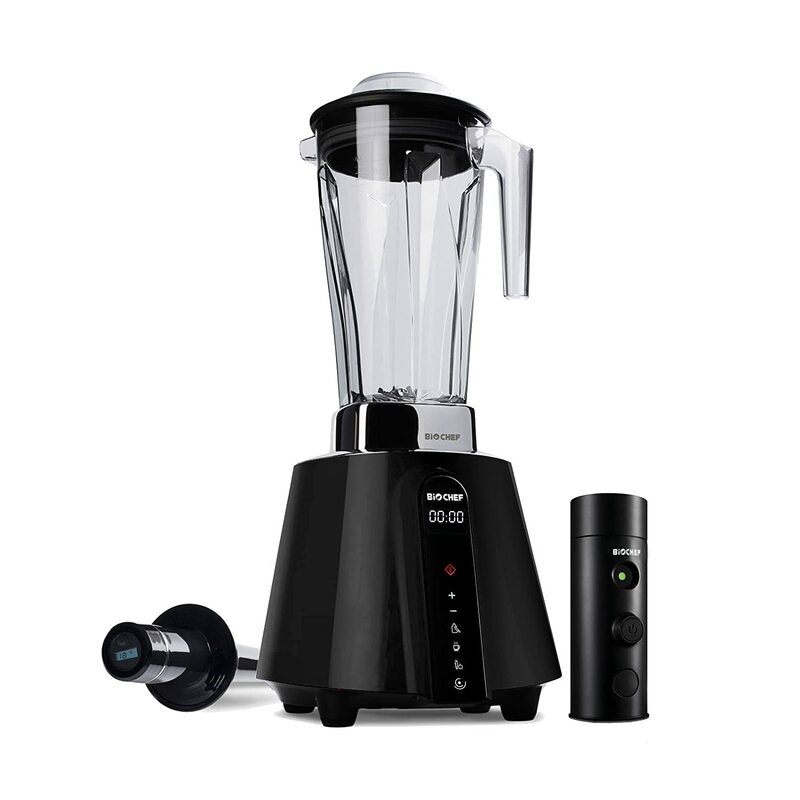 Thanks to the patented jar included with this blender, you don’t have to worry about using a tamper, as the ingredients will all fall down to the blades on their own. This means that you never have bits or chunks of food that are left spinning in the blender and that all of your purees, soups, and smoothies will be completely smooth and delicious. Rely on the SmartBlend technology to ensure that you are using the right setting, as this blender can determine what setting is the best. There are six pre-programmed settings to choose from, as well as a pulse and “add 10 seconds” feature to allow you to extend the blending time as you see fit. Thanks to the eight year comprehensive warranty, any problems that occur with this blender can be addressed by the company quickly and professionally. 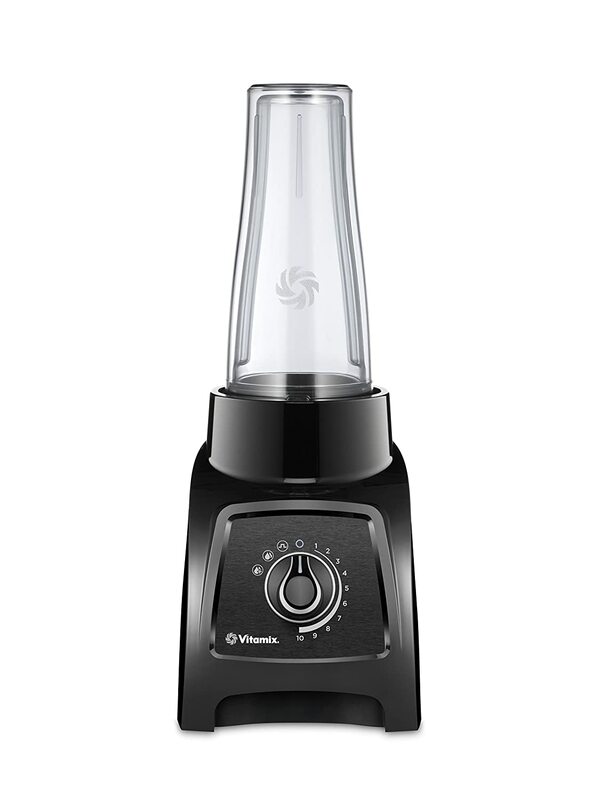 Thanks to the 3.5 horsepower motor on this powerful blender from Waring, you will be able to tear through any ingredients without worrying about the blender slowing down or the motor burning out. The jar has been specifically designed in the shape of a cloverleaf and is able to easily create a very high-power vortex that funnels food down to the blades instead of allowing it to get caught in a spinning cycle above them. The container is made of stainless steel, which means that you never have to worry about it cracking or breaking if you were to drop it while using the blender or moving it in your kitchen. 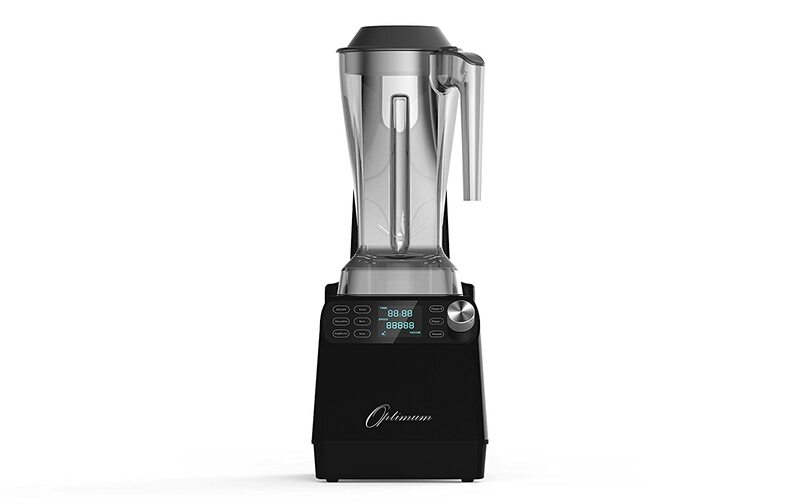 With three different automated programs to choose from, as well as an incredibly powerful motor, you will quickly see why this blender is so popular and how it can help you to create custom meals, smoothies, and sauces that you and your entire family are sure to love. 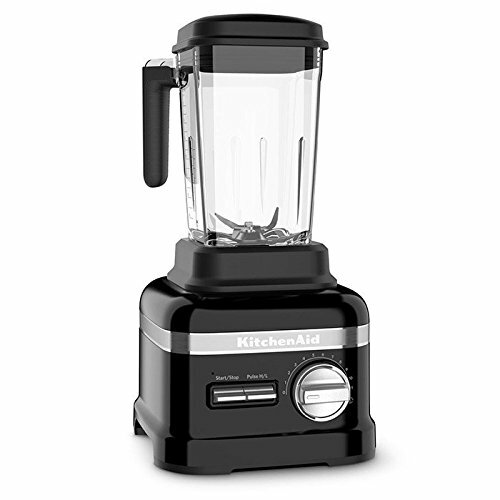 There is a great warranty on the motor itself, which allows you to get help within 10 years of purchase, as well as a seven-year warranty on other parts of the blender. Enjoy not only the preprogrammed settings, but also a pulse function and swipe speed panel so that you can easily control your blender and get the most use out of it. The blades are stainless steel and can easily power through even frozen ingredients without a lot of work or without you having to use extra liquid to make the blending easier. This powerful blender is designed to easily blend vegetables and fruit, as well as hard nuts without having any problems thanks to the asymmetric blades, as well as the design of the jar. Because the blades are placed at four angles, they are able to actually pull the ingredients in the jar down towards them so that they can be evenly blended. This means that even large and tougher ingredients such as vegetables and fruit can be blended without you having to stop the blender and use a tamper for best results. Thanks to the power dial, you can easily choose between 11 different speeds and even rely on boost and pulse functions for extra power, if needed. 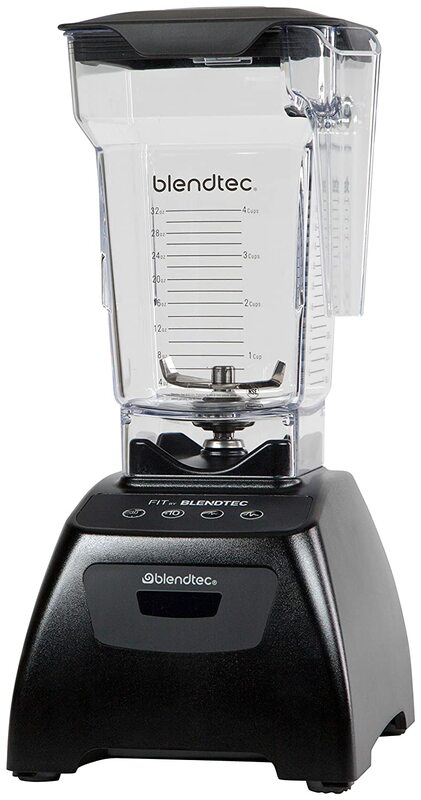 Not only are the blades on this Blendtec blender 80% thicker than the blades you will find on other blenders, but they are also 10x stronger, which means that you are very unlikely to deal with a broken blade or one that can’t power through tough ingredients. 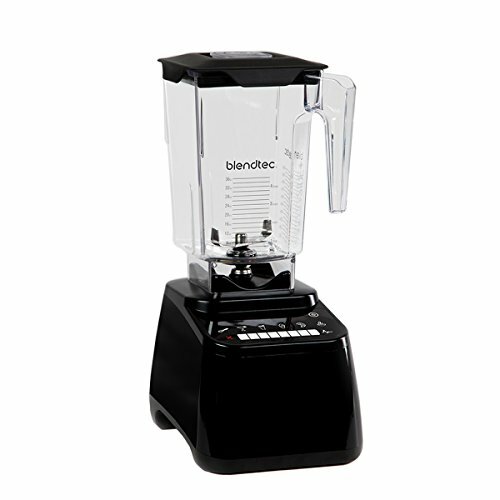 The touchpad screen is easy to use, read, and clean, and makes setting the speeds and cycles on your blender very easy. Thanks to the vented gripper lid, you don’t have to worry about anything splashing out of the blender when it is working, and you can easily vent it if necessary to prevent a lot of suction from occurring.